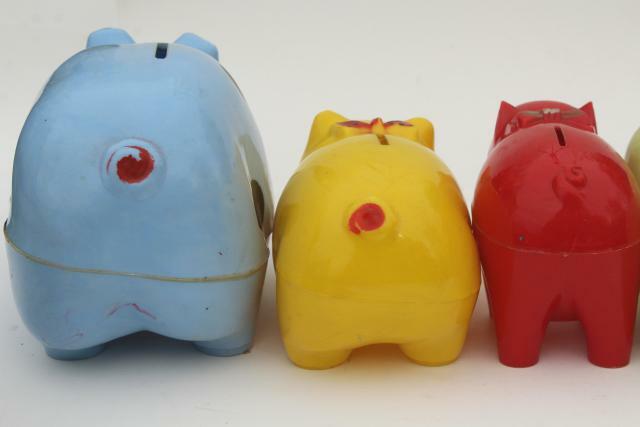 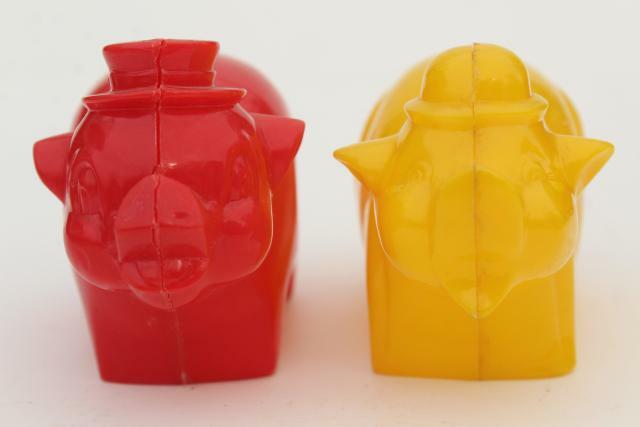 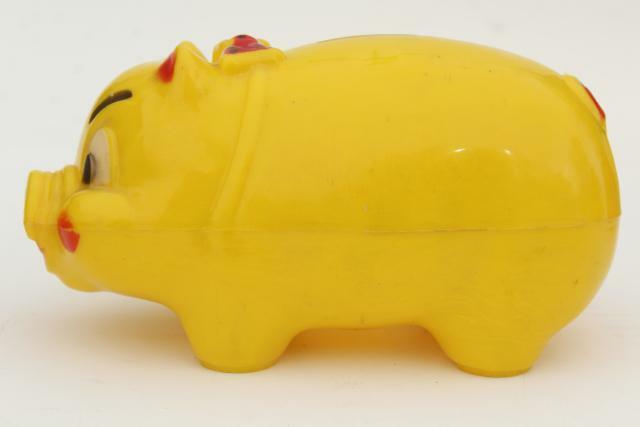 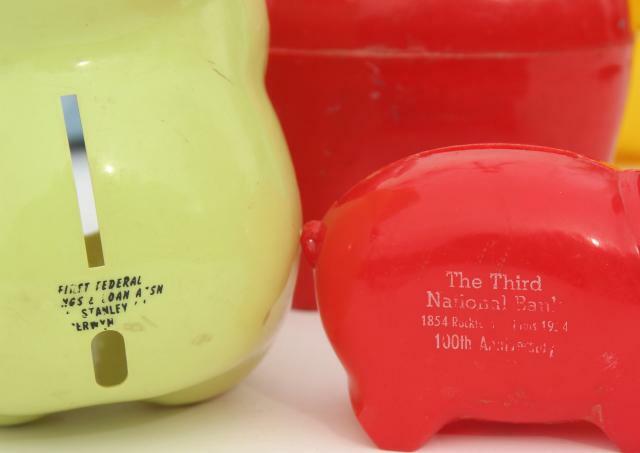 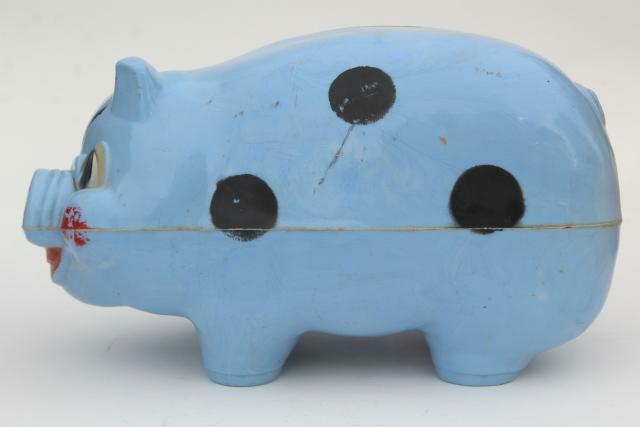 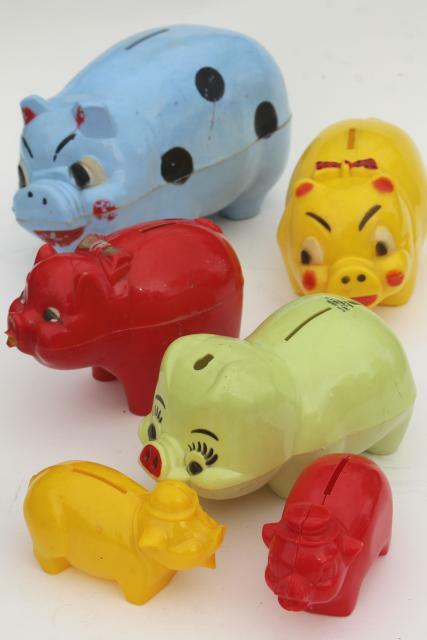 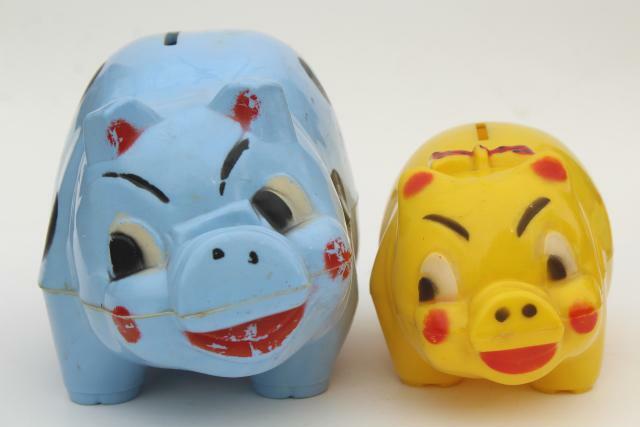 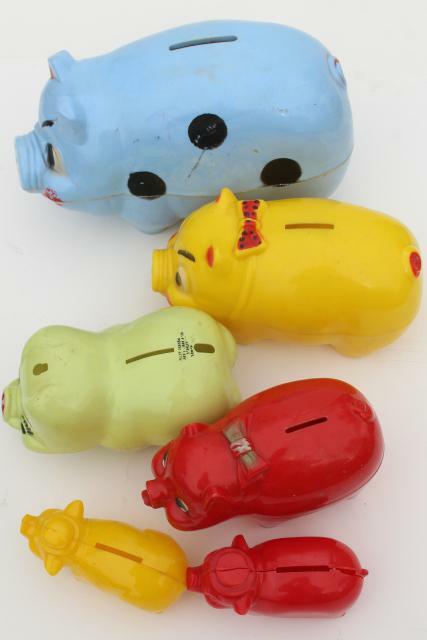 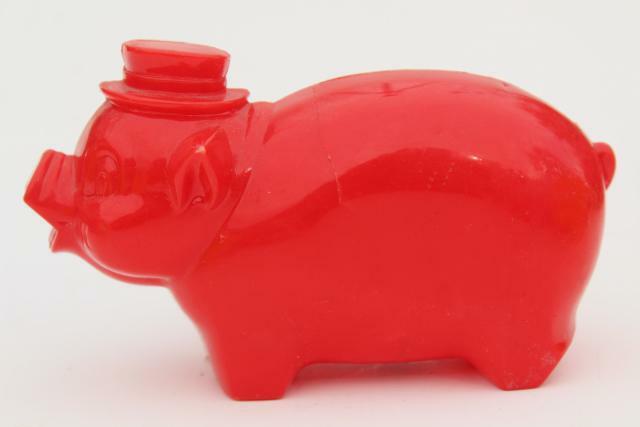 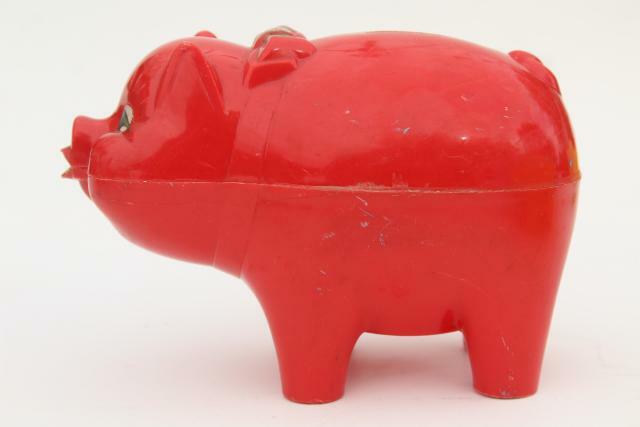 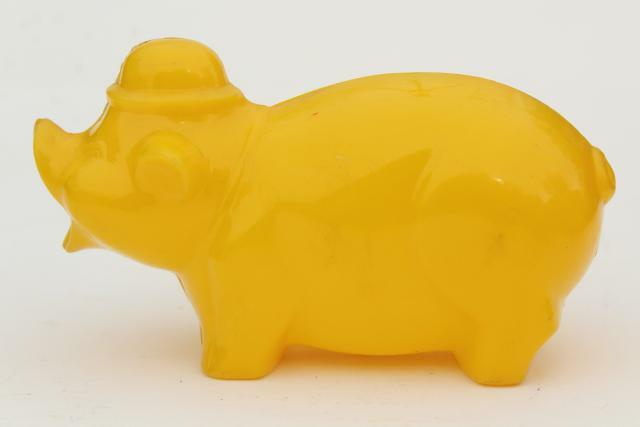 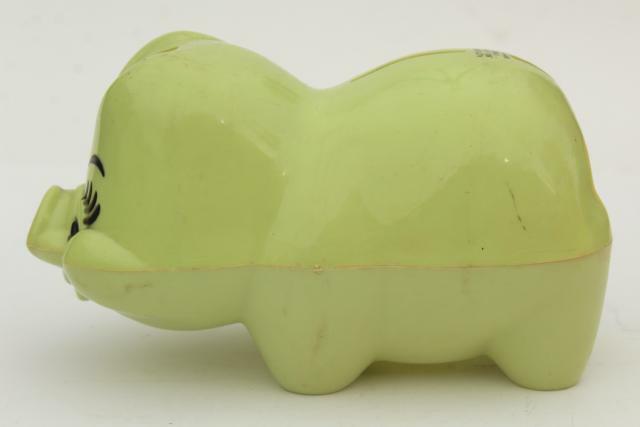 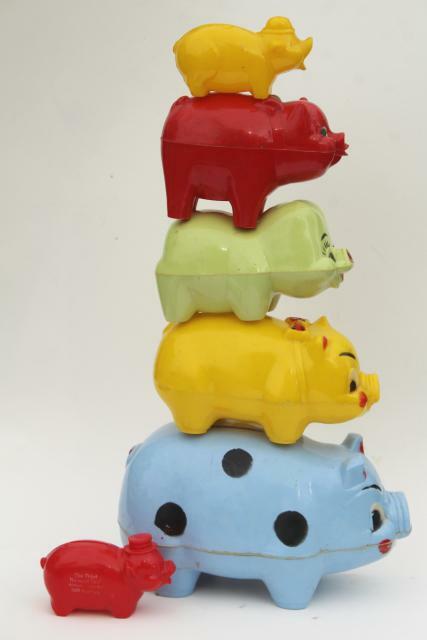 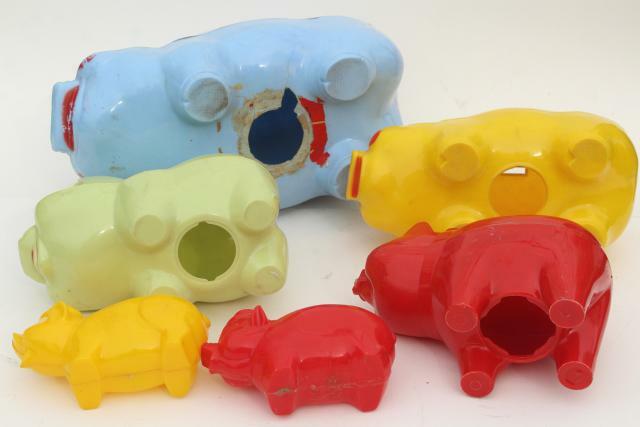 Instant collection of hard plastic piggy banks, 1950s vintage. 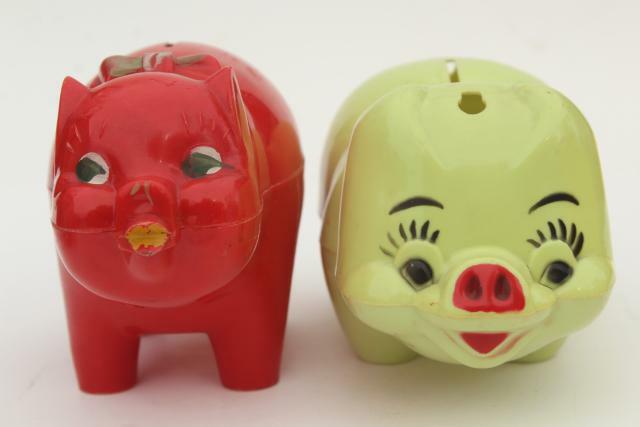 Many of these have chips or cracks, but they're still cute and colorful dime store or giveaway pieces, not many of these left around. 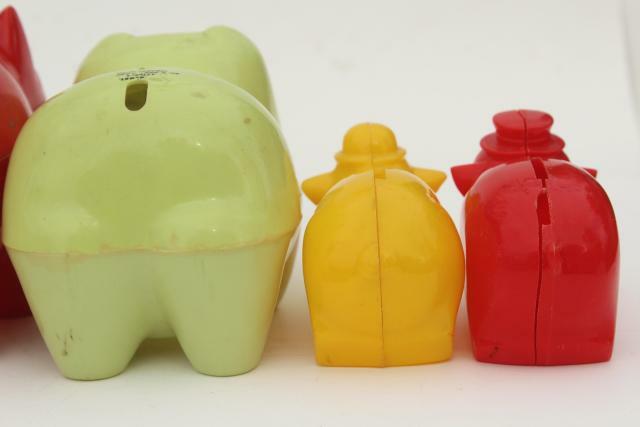 This lot was all the collection of a lady in her 80s, they've been in her cellar for more than 50 years!